It turns out that breakfast isn't the most important meal of the day. Most weight-loss programs and diets insist that eating breakfast is the key to setting a good pace for the day and helps people avoid snacking in the afternoon. But new research suggests that's not the case. A new report, published in The American Journal of Clinical Nutrition, claims that there aren't any studies that truly support that eating breakfast helps people lose weight. 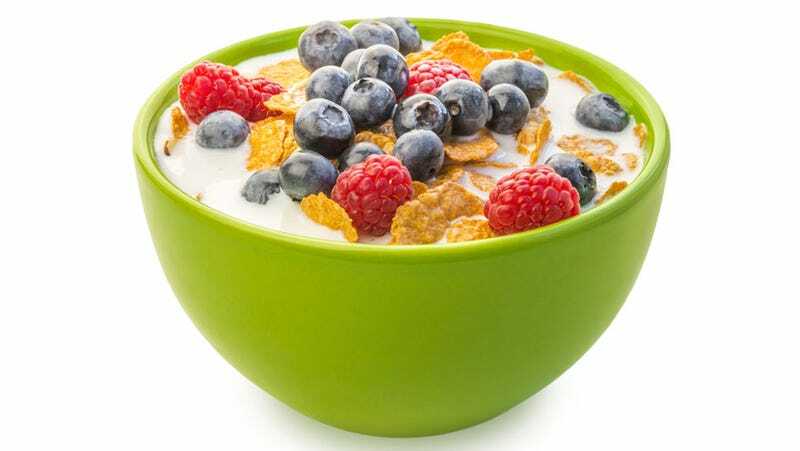 Instead, studies that have been conducted on the matter generally find that skipping breakfast has little to no effect on weight gain or loss, and that people who eat breakfast are simply consuming more calories. Those studies, however, have been "drowned out by dozens of large observational studies that have found associations between breakfast habits and obesity but no direct cause and effect," according to Dr. David B. Allison, director of the Nutrition Obesity Research Center at the University of Alabama at Birmingham, who, along with his colleagues, reviewed all medical literature with regards to breakfast and weight loss. So we can go back to thinking that not eating is good for us. Yay?